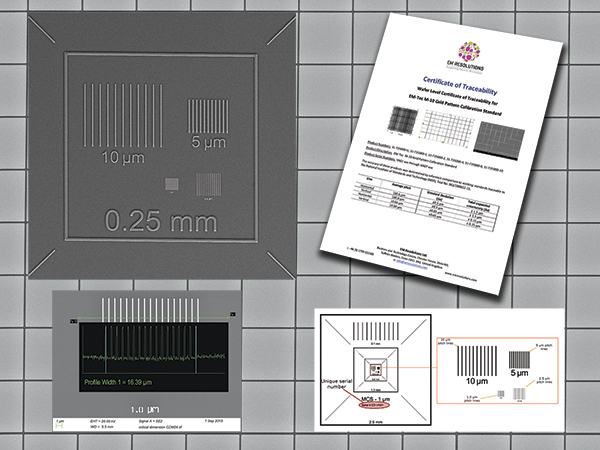 Our range of precise yet affordable calibration standards enable optimum magnification calibration of your SEM or FIB. Only calibrated instruments will produce precise data. Our magnification calibration standards are available with certificates of traceability and optionally certificates of calibration. A silicon grid with suitably spaced lines is excellent for quickly comparing magnification and assessing distortion in the image field. MCS standards feature a series of varying width lines for magnification calibration or critical dimension measurements over a wide range of magnifications.